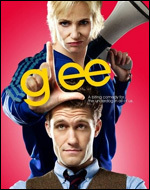 1) Episodes follow the same rigid structure every week: Random event puts Glee club in jeopardy; Character quits Glee Club; Glee Club sing song about it; Character reinstated to Glee club; Glee club is no longer in jeopardy; Big song; The End. 2) The show is stuffed full of stock high school TV characters - the jock, the cheerleader, the talented underdog, the gay, the asian - and its never entirely clear whether the writers are poking fun at those stereotypes or indulging in them. 3) Middle-aged, middle class white men should never rap. 4) Glee has no internal logic. Take, for example, Sue - the show's gloriously sadistic sports coach. After building her up as a politically incorrect, take-no-prisoners villain for eight weeks, they needed a twist for an episode about disability and suddenly revealed Sue's SURPRISE SISTER with AN UNSPECIFIED MENTAL ILLNESS, which made her incongruously sympathetic to all children with disabilities. Lazy, slapdash writing. 6) Kevin McHale, who plays wheelchair-bound Artie Abrams, is in fact able-bodied. This doesn't bother me too much, except there was an entire episode dedicated to the message that "wheelchair users should have the same opportunities as the rest of us", after which the closing credits revealed McHale had a wheelchair stunt double for the dance routines. Astonishing. 8 ) Jane Lynch's brilliantly acidic delivery is wasted on lines like: "I will not rest until every inch of our fair state is covered in garbage". Picking a topic and saying the exact opposite of what everyone thinks doesn't make your character comically subversive, it makes them insane. 9) What does the show have against women? Two characters lie about their pregnancy for material reasons; one is a manipulative, scheming bigot; and another is a borderline schizophrenic with OCD. Even the show's leading lady, Rachel, is deliberately unsympathetic. 10) Glee jumped on the mashup bandwagon, precisely eight years after the horses bolted, the wheels fell off, the wagon's contents were eaten by coyotes and its frame was set on fire by a freak lightning storm. Plus, they ruined Halo. None of this, I hasten to add, will stop me watching (for the time being at least). But you have to hope that a bit more discipline and logic is applied to the second series when it starts in the US next month.